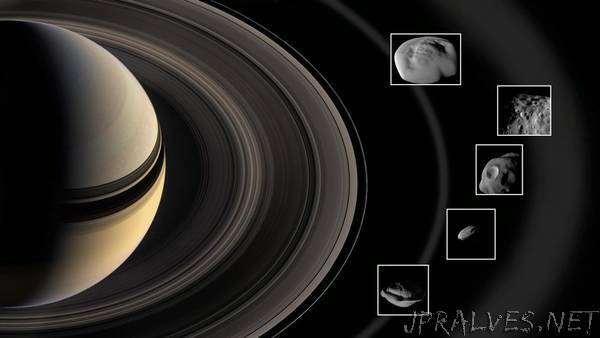 “New findings have emerged about five tiny moons nestled in and near Saturn’s rings. The closest-ever flybys by NASA’s Cassini spacecraft reveal that the surfaces of these unusual moons are covered with material from the planet’s rings - and from icy particles blasting out of Saturn’s larger moon Enceladus. The work paints a picture of the competing processes shaping these mini-moons.